Invite participants to share how substance use and abuse has affected them, their families, and others they know. Many will have direct experiences and are likely to mention concerns identified in the guide. Consider each option one at a time, using the actions and drawbacks as examples to illustrate what each option entails. Review the conversation as a group, and identify areas of common ground as well as disagreement. Talk about possible next steps, individually and as a group. Copyright 2015 National Issues Forums Institute. 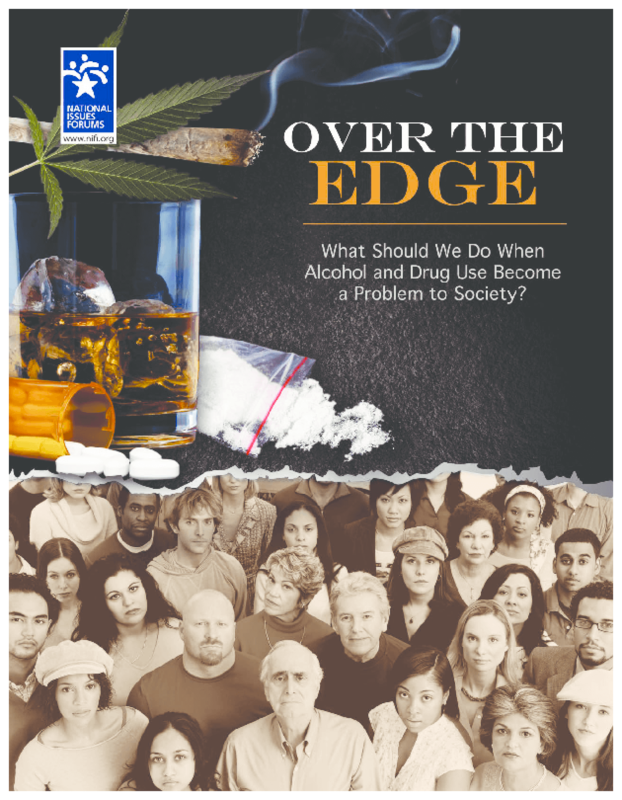 Title: Over The Edge: What Should We Do When Alcohol and Drug Use Become a Problem to Society?